For fine art printing we have the ability of printing to a extremely high quality using a 4 colour print process used, specifically for reproduction of artwork and gallery pieces where dramatic colour and shading is required. Fine art printing requires detailed reproduction of subtle colour differences and depth. This is a more expensive print process but allows immense depth of colour and detail. The level of detail is incredible and we have printed a number of umbrellas for Museums and Art Galleries both in Europe and The USA. 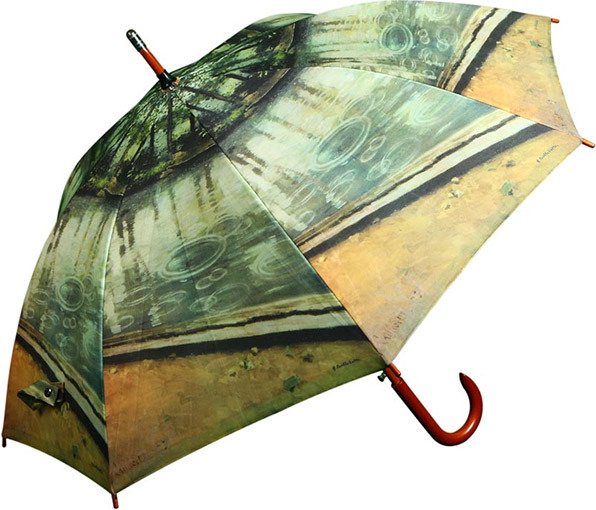 We have supplied many fine art printed umbrellas to museums and galleries. We use specialist photographers who are used to working with fine art reproductions. Umbrellas are a superb high value gift and souvenir, able to benefit from the unique assets of the organisation.